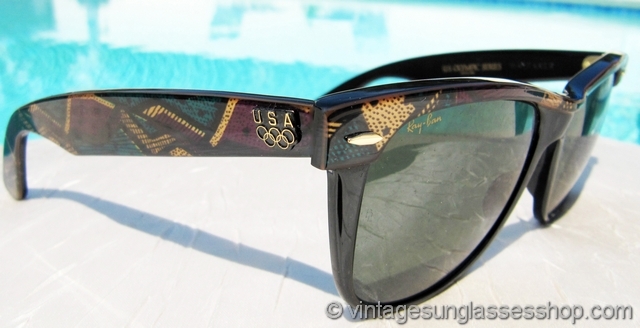 Vintage Ray-Ban W1281 1992 Olympics commemorative Wayfarer sunglasses are one of the most popular individual styles of anything in the Ray-Ban Olympic Games commemorative series - and for good reason. 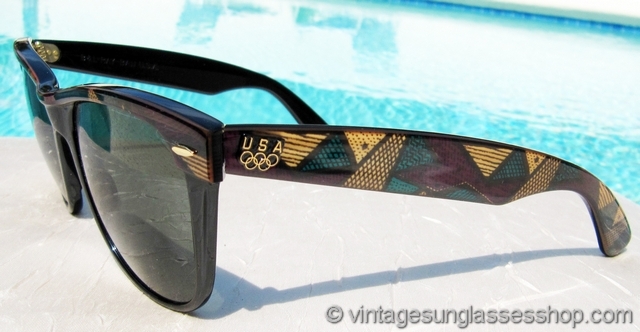 The purple pattern top accent is what really stands out about this design, a subtle but very effective bit of flair that is sure to generate questions and compliments. 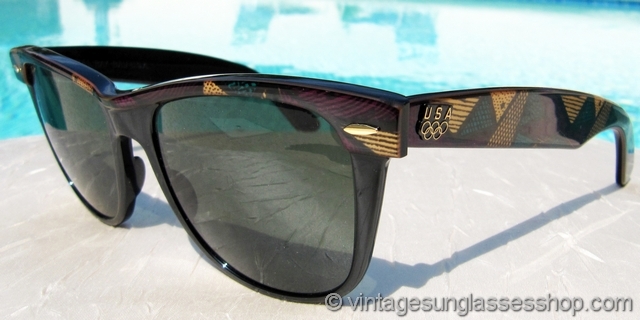 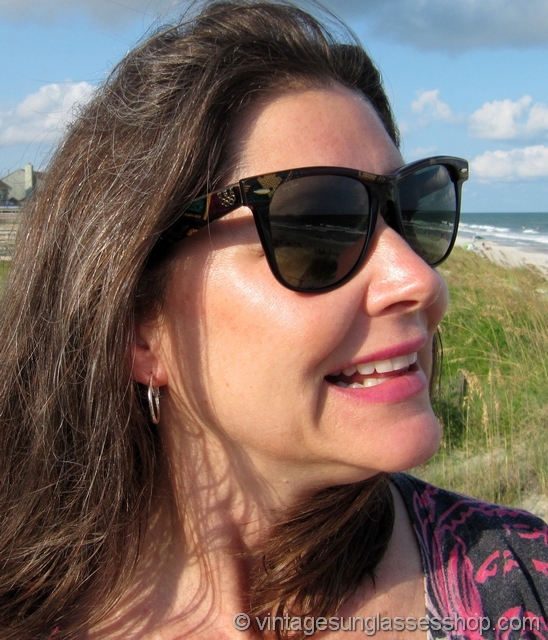 It doesn't hurt to have the Olympic rings in raised metal relief on the ear stems near the barrel hinges, and we really like this color combination within the classic design of vintage Wayfarers. 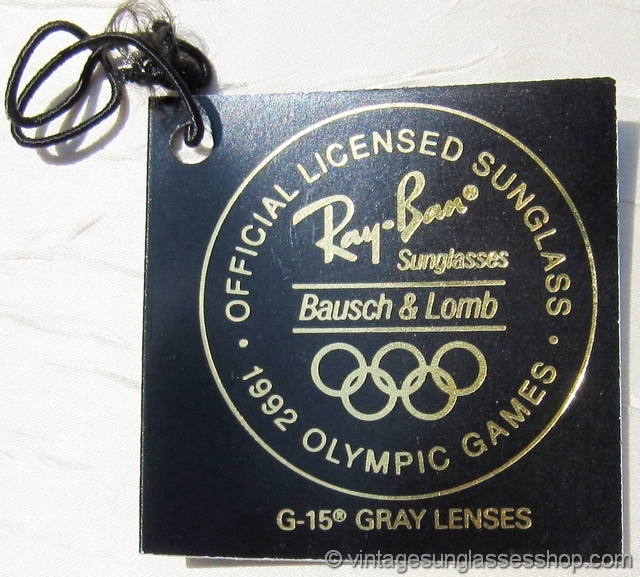 Bausch & Lomb G-15 lenses were designed to provide 100% ultraviolet protection and to absorb up to 85% of visible light to minimize glare, and they have a neutral color transmission for realism and the quality of precision-ground optical glass lenses free of distortion. 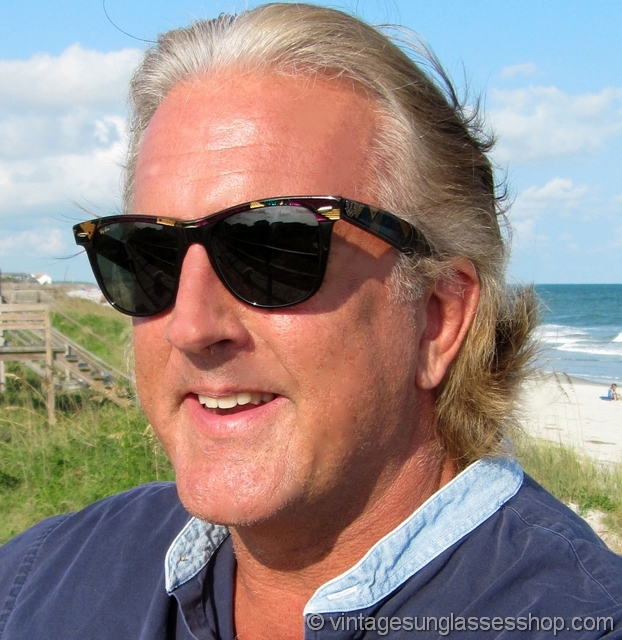 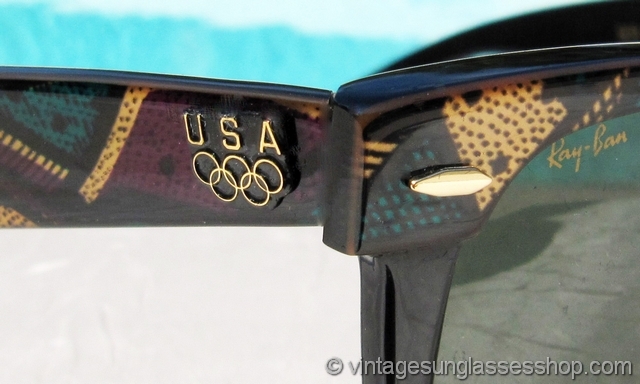 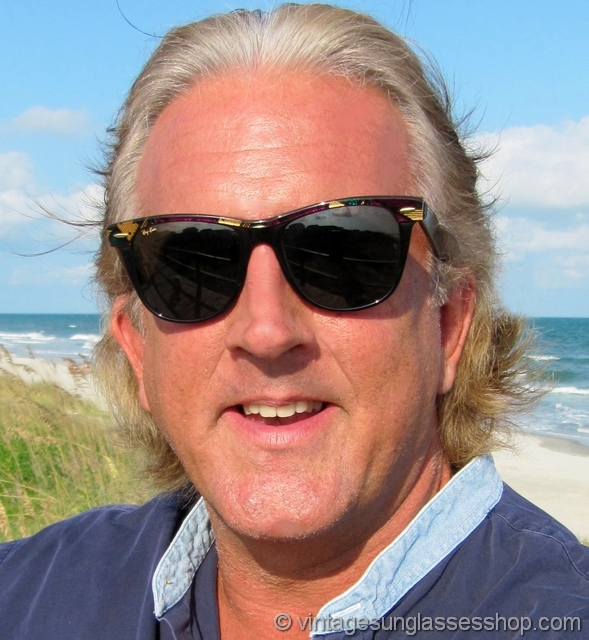 These vintage Ray-Ban Olympic Wayfarer sunglasses are marked US Olympic Series and a serial number along with Wayfarer on the inside of one ear stem and B&L Ray-Ban USA inside the other stem all impressed in the frame. 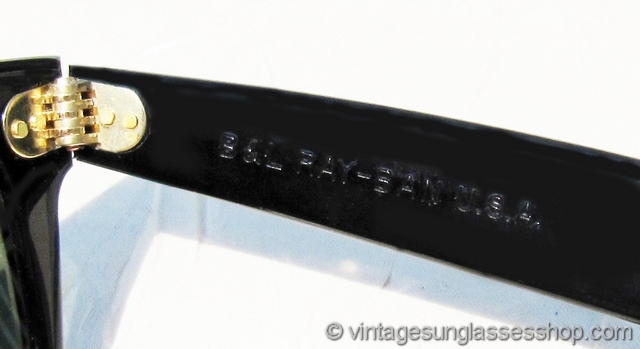 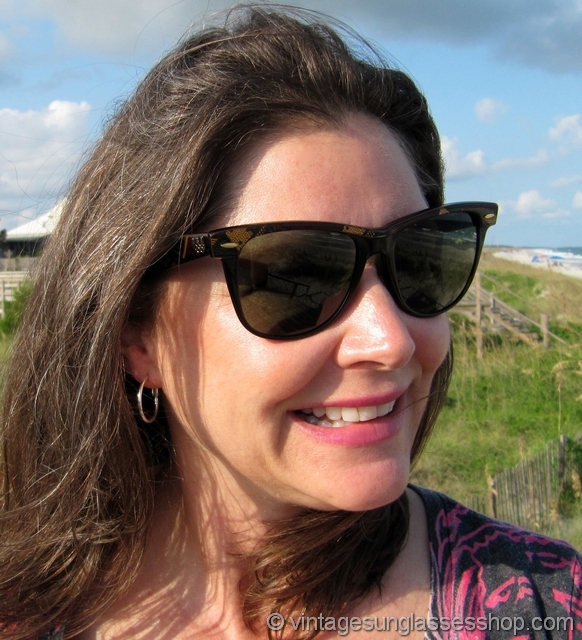 The unisex Ray-Ban Wayfarer frame measures approximately 5.5" temple to temple, and the B&L G-15 lenses measure approximately 2.0" x 1.75" at the widest points. 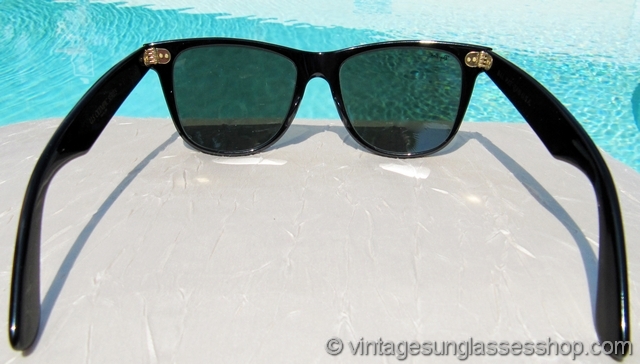 Both lens are laser etched BL near the hinges and the right lens is laser etched in gold Ray-Ban in italics. 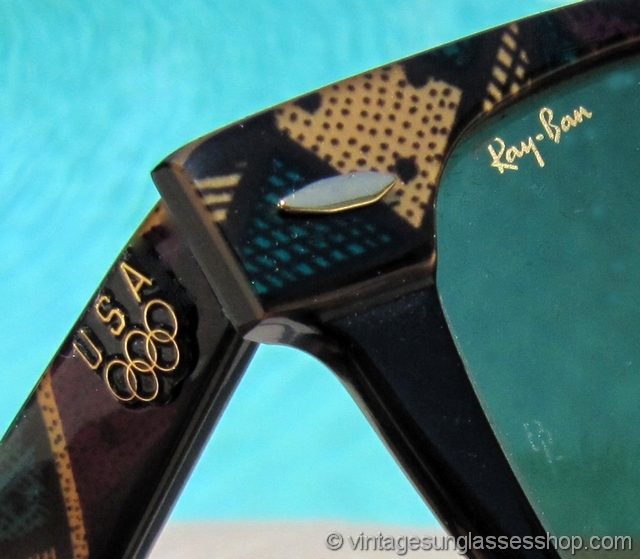 Authentic new old stock Ray-Ban W1281 Wayfarer sunglasses commemorating the 1992 Olympic Games in mint, unworn condition with original case, original box, and in many cases original lens stickers and warranty paperwork.